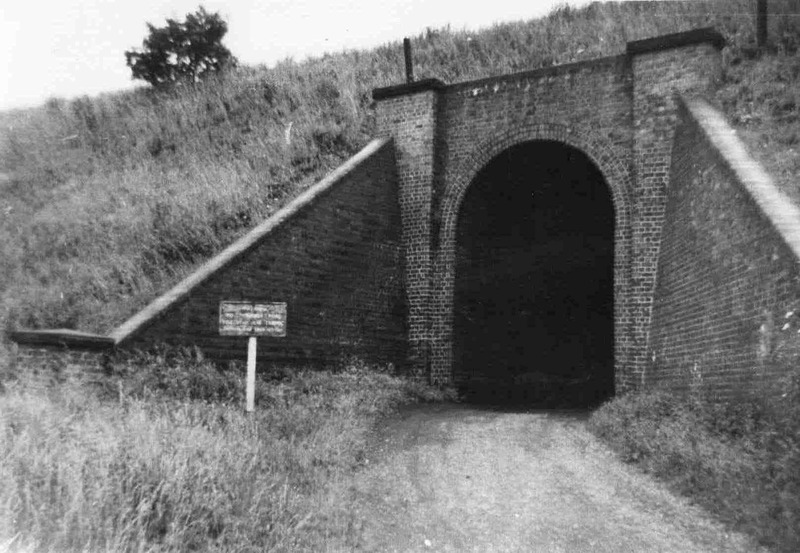 The archway leading from Station Road to Netherthorpe Lane over which ran the Lancashire, Derbyshire and East Coast Railway. Photograph courtesy of V Hopkinson. A great place for us boys in the 40 50s from station rd and havercroft terrace to play cricket and football .You could play even if it rained or snowed. If you scratched around a bit you could find coins from when the men coming home from local pub used to play pitch and toss.Ron M.